Writing about agriculture, farming goats,and growing wine grapes. 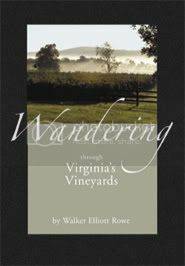 Written by Virginia writer and farmer Walker Elliott Rowe. Mr. Rowe's essays and reporting are written in the style of The Atlantic and New Yorker magazines. This is no ordinary blog but a literate chronicle of the burgeoning local food movement and growing wine industry in Virginia. Let me give you some useful information. Most people place their vineyards along the highway and paying customers and not in the best place for growing grapes. Look at Narmada, Gray Ghost, Barrel Oak, Five Rivers. 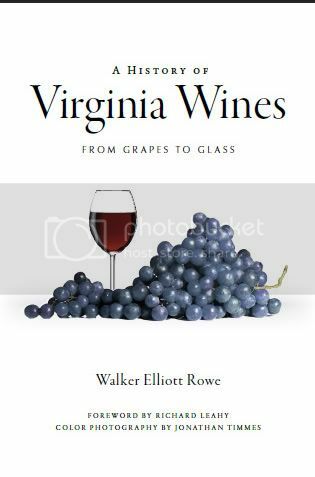 But the best farmers (Linden, Rappahanock) know that there is a proper elevation for grapes which is the thermal incline above 600 feet and below 1,500 (1). The next time the temperature goes to -15 degrees (as it did in 1996) you are going to see many of these newer vineyards killed right down to the ground. That is what happened at Prince Michel and that is why they don´t grow grapes in that frost pocket anymore. Farfelu has always been a rotten place to grow grapes because of frost. Rappahanock Cellars is at a better elevation just below Chester Gap. Narmada plants mainly hybrid grapes instead of French ones because with their American lineage they are more cold hardy. Beyond the absolute low temperature and the damage that can do there is the issue of frost. Frost which comes too late in the spring will kill off the current season's crop. Frost that comes too early in the fall abruptly ends the growing season and thus the ripening of the fruit. Vineyards at optimal locations--say Chester Gap Cellars--get up to three weeks of additional growing time each season. So they can ripen certain red grapes which require a long growing season when others cannot. Of what importance is ripeness? Beyond sugar level red grapes which are not ripe produce bitter and thin wine. It is bitter because of the seeds and thin because of the shortened period of time used to make such wines when their seeds are still bitter. Ask Jim Law and he will tell you all of this is true. 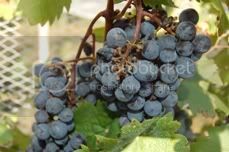 Ask Dennis Horton and he will tell you that is why he does not plant grapes which need a long growing season like Cabernet. Ask Gabriele Rausse at Monticello and he will tell you at that elevation when the temperature hit -15 it was -2 at their location and everything was O.K.Vineyard consultants know this. But prospective land buyers in the county who are looking for vineyard sites want to be right next to the highway and paying customers. So they put their vineyards in the wrong place. The best farmer-businessmen, like Jenni McCloud of Chrysalis, grow grapes at their winery site but also have ideally situated vineyards in the mountains just for this reason. Denis Horton had such a vineyard but lost his lease and the resulting lawsuit to get it back after he had spent much money to develop a vineyard there. So let me reiterate for those of you looking for a vineyard location. The best location is one with a south-eastern exposure and elevation above 600 feet and below 1,500 feet. At this elevation cold air drifts to the bottom and the warmer air is held aloft protecting the grapes. If you have ever been to the Rhine River valley in Germany then you know what I mean. And grapes facing east and south receive the early morning sunshine even in the waning days of October. This dries the dew from the fruit thus reducing mildew and rot. Vineyards facing north miss the late season sun and vineyards facing west are too hot and are left to stew in the humidity in the morning thus having increased problems with fungal rots. Vineyards on flat land are great for farming in California and Chile but invitation to disaster here in Virginia. There they have the additional problem of improper drainage. Grapes do not like to stand in water. For this reason sloped land is preferred. Here at Rosewood Hill Farm I try to study items of lasting import instead of spending time on the ephemeral. This I try to impart to my son as well. By that I mean that I limit the time that my son spends on his computer and encourage him to read books. Children cannot learn anything from a computer game and in my opinion it destroys their ability to concentrate on something subtle. Would Poincaré have been able to make his famous conjecture on the shape of the universe if had been distracted by text messages, instant messenger, and Facebook? I think not. The tone on Capitol Hill has gotten harsh as one political party blames the other for our current malaise in the economy while radicals in the Tea Party fan the flames of rebellion. But all of them miss the point that what has happened to us is not the fault of the Democrats or the Republicans or that president whom they despise so much. History happens, says Leo Tolstoy, is spite of and not because of the action of politicians. It matters not whether tax rates are x or 2/3 x. This is simple tinkering with the edges of the problem. Neither party has any wholesale revision in mind. That is not the American Way. This is the point made by Octavio Paz in his essay "The Labyrinth of Solitude". I find the whole business of reading the newspaper and watching the debates rage on television both enthralling and frustrating. It's more interesting than any sport and certainly frustrating because of what I just mentioned. They're arguing back and forth over items which don't really matter much. What is one to do? For me I try to soothe the soul by diving deep into something which really does matter. This is mathematics and literature. There is great beauty in studying the complex. It's not beautiful because it's complicated. It is simply complicated to see its beauty requires a little study. If it was obvious to everyone it would be a Polaroid printed in People magazine. This is the very definition of the word "sublime". Currently I am reading and rereading a handful of books. I already mentioned Octavio Paz. A friend and I hope to write a joint essay on that learned Mexican Poet. I've picked up his book several times only to put it down because I could not understand it. Now I understand it but cannot finish it because I am reading so much else. One could deride that as the multitasking which is what the adolescents surfing Facebook and texting their friends purport to be able to do all simultaneously. But the learned know the mind cannot hold aloft two thoughts at once. Still I persevere in this manner because there is so much material to master that to spend all one's time on one book would impede the ability to read others. Having said that politics is ephemeral and World of Warcraft a complete waste of time what do I do beside reading to bide the time? Answer: I spend time with my son. This week Nathaniel shot and killed his first deer. Those of you in the city would consider this a crime not understanding at all the importance of such an event to the life of a young boy. My Dad taught me to hunt deer and duck and his father taught him. Now I teach mine. My fondest memories including the first time I shot a duck under the watchful eye of my Dad. How my son got his first deer is equally important to us. Last week Nathaniel and I hiked to the top of the mountain where I live on this farm to the deer stand I had put up in a tree. This time he carried his .243 rifle and I had my shotgun. The week before I had carried my .50 caliber black powder rifle. Hunting laws in Virginia and elsewhere are equally absurd as that formerly mentioned debate which rages on capitol hill. Even though deer are overrunning the farms here and even though they ate all the grapes from my vineyard the law has for years remaining the same. There is no hunting on Sunday and for two months of the year you are required to use bow and arrow or the Daniel Boone style of flintlock. What is the logic in going to battle with game armed as an Apache Indian or one of the Boston militiamen? How many people have shot themselves through the foot or blow up themselves climbing a tree with a dangerous crossbow or a black powdered rifle? This year as in years past the problem with my blackpowdered rifle is not the explosion but the lack of the same. The week before at the tail end of the blackpowdered rifle season I gave Nathaniel the rifle to shoot and true to form he pulled the trigger and the rifle went "click". No explosion. Now I had a dangerous weapon loaded with gunpowder and no way to get the bullet out of the barrel. I carefully pointed the muzzle elsewhere and put it up promising to throw it away and give up the whole notion of trying to hunt with that even again. Finally the season for modern rifles had arrived and Nathaniel and I headed out into the darkness. His previous kill with me on a deer stand hand been a little bird that he shot with his bb gun. I am equally proud of that kill as was he. We cooked the little bird in the oven and decided to toss out rather then eat the freshly roasted breast which was the size of a quarter. Nathaniel and I had hunted three days only seeing one deer which was too far away to shoot. During the spring and summer the deer fairly walk up on you on this farm but at the first crack of the rifle fire in the fall they head to the mountain. Then they apparently feed at night and move to and from where they bed down at twilight and dusk. This is why the hunter heads out in the morning darkness and early afternoon. In October the rut starts for the bucks whose owing to the influence of hormones and testerone completely loose their heads over the scent of the female and allow themselves to be lured by the artificial scent sprayed by the hunter and of course run over by the automobile as they come out in full daylight looking for love. In other words they behave as stupidly as any male when comfronted with the sight of the swelling breast, the fleeting angle, the perfume, the long shimmering hair which drives us all to distraction. Sitting a top a log I had left Nathaniel on this the last day of the Thanksgiving holiday sitting in the tree stand 200 feet below me a top a tree stand. The sky had slowly lightened as the sun lit up the far edges of the horizon and I could see the trees in the opening where I sat. Then travelling like ghosts 5 deer ran up on me in the twilight heading straight where I sat. They were too close, practically on top of me when I shot twice missing both times. One cannot normally hit a running deer. I should have loaded my shotgun with buckshot instead of a rifled slug. Nathaniel fired one shot 10 minutes later after I cried out that I had missed both times. I told him to load his rifle with more than one bullet but he had only one in the gun. He shouted back at me and told me that he the deer he had shot at was just standing there. I told him to reload and shoot again. Minutes later he did that and fired and the deer hopped off in the woods. The boy was excited as the man as having missing his first deer. But when I walked up on Nathaniel he heard the deer running off the the woods. He took off after it with my shotgun his pockets as well as his rifle now having been spent of bullets. But then the deer bounced away into the distance. We gathered up our stuff then headed three hundred feet down the steep hillside when there it lay: Nathaniel's first deer. 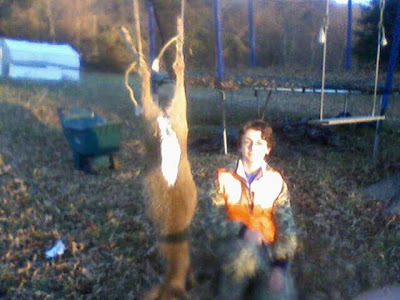 I cleaned Nathaniel's deer and took the grainy picture shown above with my cheap cell phone then wiped my boy's face with blood. That too is part of the ritual. If you are a hunter you will understand what I have written. If not pity you. Crawl back into your newspaper or Facebook and all that is ephemeral. We have this moment to cherish which will endure. For those of you who like me own a farm you might be surprised to know that the survey of your farm in Rappahannock County is incorrect. I am wondering how to get an accurate survey. Every high school math student knows that the area of square is the length times the width. A surveyor calculates the surface area of your farm by dividing it up into lots of little squares until they more or less fill up the picture of your farm drawn on a piece of paper. This mechanical way of calculating area works and is how Archimedes calculated the area of a circle. When the difference between the area of all those little squares that encompass your survey and the actual area enclosed by your survey is zero then they are the same. This is the basic principle of calculus which was deducted from the geometry of Euclid. But Euclidean geometry only works on flat surfaces. What, for example, is the surface area of a soccer ball? Certainly its more than the area of the circle made by the shadow of the soccer ball which is cast on the ground. The same can be said of the surface area of your farm. Here in Rappahannock County it's not flat. There's hills and hollows. So to calculate the actual surface area of your farm you would need to know something of the contour of your land--that is, you would need a topographical map. To calculate the surface area over the surface of what mathematicians would call the resulting "manifold" would be quite complex. This is called "topology". Does anyone know how to do this? Can a surveyor do this? I want to dispel a myth. I have heard people say they will not even consider a $5 or $7 bottle of wine. That might be sound advice for red wines--unless they are from Chile or Argentina---but is not true for white wines which cost less money to make. What's the difference? 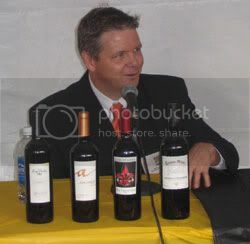 If you know something about me you know I have written three wine books including a memoir and travelogue of my time spent working at a 5 million case winery in Chile in 2005. There we bottled wine for export at prices as low as $1 per liter FOB Chile. My coworkers in the winery earned 89 cents per hour while I, the visiting journalist, worked for free. The girls in the laboratory earned slightly more money while the English speak public relations person $12,000 per year. 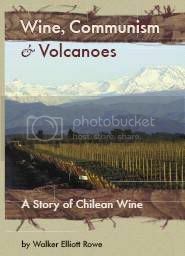 No California nor Australia winery can compete with Chile with regards to the cost of labor. Regarding the cost of farm land in Chile it is as expensive as the USA--except of course nothing is priced like Napa or Bordeaux. So in summary we can say that Chilean wines are less expensive to produce than California ones by labor costs alone. The size of a wine barrel is 225 liters based upon emperical evidence of which volume to surface area imparts the optimal amount of oak to a wine. If the barrel is too big the wine will have hardly any oak flavor at all. If the barrel too small the wine will taste more like oak than wine--certainly you have experienced so-called "over oaked wines" that taste sickeningly of vanilla or caramel. Oak wine barrels are expensive at something like $800 USD for French oak and somewhat less for barrels made from oak grown in the USA, Hungary or elsewhere. But in a large winery-- like, take for example Charles Swan, Yellow Tail, Turning Leaf, or any of the other mega operations--it is not economically feasibly to take several hundred thousand liters of wine and transfer it to small barrels. Barrels must be handled one at a time. The require cleaning and need to be topped up on occasion because as the wine evaporates the wine shrinks in volume letting more air into the top. As the solids in the wine settle to the bottle the wine must be transfered again to other barrels to clarify the wine. Finally barrels only last three or four years. All of this drives up the cost. At VIA Wines in Chile, where I worked in 2005, we did like other enterprising capitalists whose wine drinkers want their wine to taste of oak. We brought the oak to the wine instead of the other way around. Men dressed in blue uniforms climbed inside the 50,000 liter wine tanks and erected oak staves to which the wine was then added. Of course this did nothing to soften the wine by exposing it to slight amounts of oxygen as is the case with the porous oak barrell because the stainless steel tank is airtight. But it did give the wine a flavor of oak which is what the wine buyers presumably want and the wine critics say must be the case. Now turn our attention to the white grape. In Chile most of what we processed was tank fermented chardonnay and sauvignon blanc. Chardonnay can of course be fermented and aged in a barrel as they do in Burgundy where the lees, which are the dead yeast cells left over after fermentation, are stirred in the barrel to slow oxidation and soften the wine. Viognier in Virginia is sometimes made this way. But sauvignon blanc is not supposed to be soft. It's supposed to be sharp. So when the yeast had settled to the bottom of the tank the wine was racked off its lees, filtered, and then put into bottles. Voilà! Done. There was no expensive oak barrel, no legions of men climbing over a mountain of oak barrels, and none of the expense of doing so. The point being that white wines can cost loss in the vast majority of cases because they cost less to produce. But the difference in price is also apparent in the vineyard where wine grapes ripen earlier than red ones and sometimes red grapes do not ripen at all. In rainy parts of the world like Virginia where I live it is sometimes a struggle to get red wine grapes to ripen properly. When people talk of Bordeaux vintages and which is best they invariably mean in which year did it rain least and was there the most heat. In California and Chile the weather is pretty much the same year after year--it rains in the winter and is dry during the summer with some slight swings in the average temperature whose stability is due to the proximity of the frigid Pacific Ocean. But in Virginia we have hurricanes and variations in the weather that are quite large. This year might be the best on record with harvest coming in 6 weeks early due to an early start in the spring, above average heat in the summer, and with almost no rain. Rain does two things to the ripening grape. When the vine is drought stressed it draws up water after a soaking rain thus making the sugar level in the grape fall relative to the amount of water therein thus pushing back the harvest date by days or a week. Also in the waning days of September and October rain makes worse those mildews and rots which attack the leaves and fruit. At this time of the year you cannot spray fungicides on your grapes because the government which regulates such items says to do so would endanger the health. So the farmer hangs on worrying about the weather and giving up altogether when the frost arrives early and the whole crop must be picked ripe or not. Contrast that with white grapes. In Champagne, which of course is at one extreme, white chardonnay grapes are picked before they are even ripe because you don't want a white grape to make champagne because the bubbles will heighten the flavor making less than a subtle product and champagne must be subtle by definition. But the pinot noir and the chardonnay growing there by themselves ripen much earlier than their cabernet suavignon cousins. And since you throw away the grape skins and the seeds with white grapes you don't care about those getting ripe either. Yes skins seeds can be considered to be "ripe" or not. If a grape seed it ripe it is brown and brittle if it is not ripe and roughly handled the green little pieces of seed will make the wine bitter as well. A ripe skin is one that will not be bitter plus also have the proper color. In Chile I was taught that when you chew a ripe skin and spit it on the ground it will land with a splat making a perfect circle of purple. If the circle is not the correct shade of purple the grape is not ready. So back to the price. I often buy this white wine of which you have surely heard, the "Barefoot" label whose sauvignon blanc and pinot grigio are quite good at $5 per bottle. Of course it won't have the grassy complexity of the best cool climate New Zealand $12-$25 offering. But its still quit good with sharp crispness, banana and apple flavors which is what one would expect from a sauvignon blanc and pinot grigio respectively. But a $5 red is scarcely going to be worth it at that price. It will often taste like a doctored wine were oak was added in chips or in staves, tannins, and acid poured in by the bad to try to give a weak wine some structure. But at $2 more for $7 or $8 USD you can buy a Chilean red wine which was barrel aged. Making wine is often a money losing business anyway but at that price to have made a wine using oak barrels certainly the California grower would have lost any possible profit so its likely to have been made in a tank with all the shortcuts that entails. You might have noticed I have pretty much quit writing journalism here about other farms and blogging about my own but its time to update you on the status of my vineyard. Having written my third book on wine and spent much time writing about agriculture I thought it time to turn my attention to other types of writing. I could not find a theme in agriculture that I could turn into a book that would not be a disjoint series of essay. I found that my writing on agriculture had become merely reporting. So I needed a new theme. A writer in search of a new theme must read widely in the literature. Having studied mathematics in the university and lots of literature in between I started reading David Foster Wallace whose book on the number infinity is a testament that books on mathematics can be interesting to read and even written in prose. So I fell upon the idea to translate Sir Isaac Newton's book on classical mechanics to text that a high school student could understand. The problem with that is Isaac Newton published his work on gravity and the planetary orbits using proofs from Euclid's elements. For 2,000 years Euclid's book on geometry had been the one and only math book that people studied in schools. Its way of reasoning is a little obtuse for the uninitiated. Everything is explained in terms of triangles and circles. For one used to the tools of modern calculus--which of course Newton himself explained--its far easier to understand the area under a curve as an integral and triangles using trigonometry than as a series of straight lines and angles using proofs that are drawn out on paper instead of explained using mathematical equations familiar to the modern student. So it order to understand Newton I had to master Euclid's 2,000 year old text. Mastering Euclid is not so hard as it might appear. After all I just said it had been the math text used for two millennium so presumably high school students have studied it before me. His book explains such topics as how to construct parallel lines, what is meant by a right angle, and of course the Pythagorean theorem. But if one reads further and tries to think like, say, David Foster Wallace of how such things have evolved over time one learns that Euclid's geometry and even Newton's classical mechanics have their limits. In particular Euclid's rules about triangles work on a flat piece of paper but what about on another type of surfaces say the surface of a soccer ball or say the curve of a woman's hips and torso and she lays on her side. And while Newton's rules on gravity and orbits predict accurately the rotations of the planets and the speed of an apple falling from a tree they don't work in the curvature of space time explained by Einstein and Pointcare. One of my favorite books from my youth is the letters of Albert Einstein. He is a writer whose ordinary writing is easily read. While his actual theories would be tough to understand Einstein wrote down his theories from physics in a book for the laymen called simply enough "Relativity". In it he says it you drop a ball from a moving train to an observer standing on the ground it appears to fall in a parabola while to the observer on the train it drops in a straight line. That one simple notion sort of explains what is meant by the word "relative" in terms of modern physics which of course necessitated an update to Newton's work. My point here is that all of this reading is related and I believe needs to be woven together into one tapestry by a literate writer such as was the late David Foster Wallace--he hanged himself so someone else needs to finish the job. Might that writer be me? Perhaps. I need a few years to sort through the material. Now an update on the vineyard. Last year I was displaced by the recession for three long months with no job and spent that time looking for work with Gricel down in Chile. Then I headed west to work for Wells Fargo bank out in dusty Arizona. This was good for the bank account but bad for the vineyard at my farm and at Castleton Lakes for no one was there to tend the vines. I had a Mexican guy working with me at Castleton Lakes but he could only do what he was told. I found him unable to write out a plan for himself and follow it without supervision. He told me he abandoned the vineyard because there was no point in caring for the vines since the deer has eaten all the shoots. I was rescued from this frustration and exile by returning to work in Washington to an old job I once had. But it was too late as both vineyards were defoliated and went into the winter in less than ideal health. At my farm the result for the next season was poor fruit set on the viognier. But at Castleton Lakes 10 percent or so of the vines died since they were only three years old and small. Of those that remained their cordons grew shoots only in place so I pruned them severely cutting away dead wood and encouraging growth where the trunk was healthy. As for fruit set the cabernet franc there put out only 20 percent or so of the flowers that they would normally have. From this experience I would say that when vines are overcropped and damaged by cold they put forth less fruit. This year is one of recovery for both vineyards are pristine and well on their way to a fruitful next year while producing enough this year to make wine. At my farm I will have enough cabernet franc and traminette while the viognier crop will be small. At Castleton Lakes there will be enough fruit to make a few case while next year I expect a full cordon finally after 5 years of growth and will have fruit enough to sell. I have a new apprentice to take the spot of my Mexican, one who live close and who already works on the farm. His day job is mowing grass and on this 480 acre property there is much grass to mow. I have had to struggle to get him to focus on the vines instead of the lawn but everything looks well to date. We have sprayed the vines on schedule, popped off laterals, and clipped off shoots whose growth is stunted. Walking the aisles of the vineyard you actually feel walled in now as there is almost a complete curtain of foliage on either side which is not bad for what is still a young vineyard. I have rubbed off shoots that grew on the trunks and killed the grass under the canopy. It looks like a well maintained now. And for once even the owner is pleased--no small feat. I will update you again when we pick the fruit and make wine. Es primavera en Virginia. Por fin el inverno se terminó. El césped es de verdad, y no tengo que dar forraje a mis animales. Tengo 32 hectáreas. Encima de mi casa mi finca es empinado. Alrededor de mi finca hay bosque y tengo 10 hectáreas llanas de las cuales 7 son hectáreas de bosque. Hoy voy afuera para cultivar la otra mitad de mi jardín. Ya cultivé la mitad de mi jardín y planté cebollas, remolachas, y puerro. Nunca he plantado puerro antes pero eran las únicas semillas disponibles cuando fui al mercado. A veces es difícil a crecer cebollas y liliáceas afuera porque tienen pocas hojas. Entonces porque carecen de sombra el césped pueden crecer fácilmente y sofocar la planta. Fríjoles, sandías, calabazas tienes hojas grandes. Cuando se plantan semillas tiene que azadar el suelo un mes antes de plantar y después no debe estar preocupado por la maleza. En la otra mitad de mi jardín, voy a plantar alfalfa para mejorar el suelo. También la alfalfa es buena comida para los animales porque tiene mucha proteína. Yo vendí mi tractor y mi arado el año pasado. Tenía la idea de plantar media hectárea de alfalfa pero sin tractor no puedo. Es difícil crecer alfalfa aquí en Virginia por la maleza. Es necesario fumigar la alfalfa o el césped para poder sofocar la planta. A los insectos les gusta comerla también. Pero me gusta mucho la alfalfa. Tiene una flora linda y cuando es joven la gente puede comerla en la ensalada. Porque es legumbre adjunta nitrógeno en el suelo. Today the relative humidity is 25% which is oddly low for Virginia which is why there is a fire hazard warning. It's 75 degrees heading up to almost 90 degrees on this the first week of April. Normally the vineyards in this part of the state break bud on around April 15 but these high temperatures could push that up a week or more thus subjecting them to hazards from late season frost--this is why I hardly have peaches on my two peach threes. 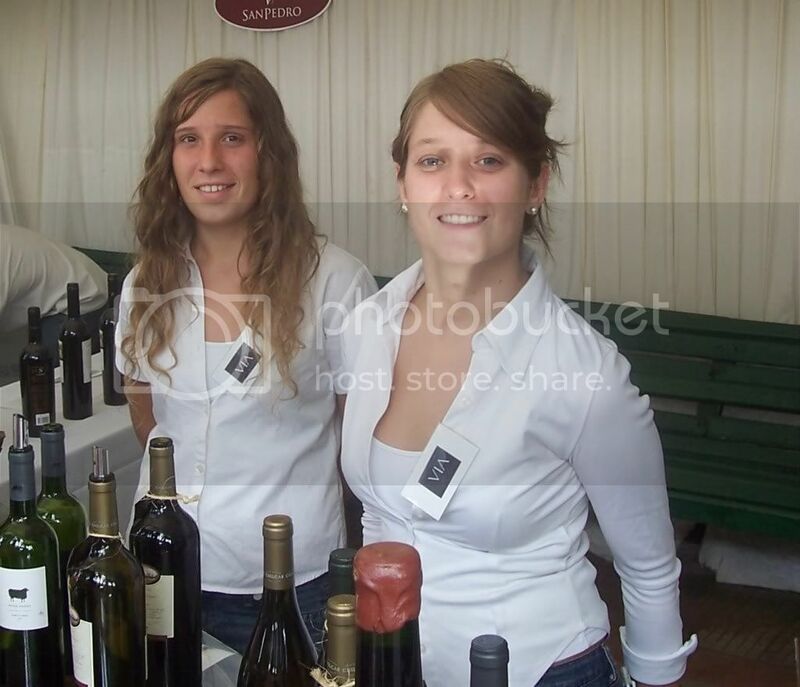 This weekend I started training my two apprentices at Castleton Lake Vineyards. We finished pruning 330 vines and spread compost on each vine. At my own farm I finished pruning the 140 vines I have there. I planted two long rows of beets and leeks and set out yellow onion sets. These plants are all somewhat frost tolerant. Summer vegetables will have to wait until May 15. Inside the greenhouse I have cilantro, spinach, and arugula which overwintered plus newly germinated lettuce and more spinach which comes back year after year from seeds. I also have stinging nettle which I planted because it is high in silica and thus a good fertilizer of other plants. In the goat herd I am up to 17 goats. The first doe I bought in 2007 died this week along with two of her kids. Two more goats had eye inflammations. The veterinarians here know not much at all about goats so I turned to other farmers for help. The goat with the swollen eye suffered a contagious disorder which causes no lasting damage, but it should be isolated which I cannot do since it is a suckling kid. The adult goat that died was probably sick from not sure what and her kids died because she was too weak to pass any colostrum to her offspring so they lacked any immunity which she could have passed them. All of this is only conjecture unless I were to dig up the animals and deliver the carcass to the vet for post mortem. But what I know for sure is the goats did not died of intestinal parasites (worms). Dr. Massie here of Rose Hill Veterinarians advised me last year to give my goats cattle deworming medication since those products labeled for goats do not work. Since using Dectomax last year I have not lost any more animals to worms. The pastures are finally green now after the long dreary days of winter. But my neighbors farms are greener yet than mine for they have grazed cattle there for years while my fields were used until recently to produce hay (hay of course robs the soil of nutrients whereas animals improve it). My woods are filled with multiflora roses, honeysuckles, and of course green grass all of which are loved by the goats. Still my herd keeps hoping over the electric fence and and crawling under the barbed wire to graza the greener pastures on my neighbor's farm--today I put one more strand at the top to make the fence a more formidable barrier to hop. One neighbor, Doris Coughlin, is highly annoying because when my animals get out in years pas she would call the animal control guy who would come out with his flashing yellow light. (He still calls on occasion to ask if I know who might be the owner of such and such wayward cow.) Mrs. Coughlin says she is worried the animals will eat her green beans. But goats prefer brush and vines to vegetables and will pick the weeds from around beans or squash. So they are excellent at keeping down the weeds and could even work in the vineyard if they did not stand on their hind legs to reach the leaves up on top. Sheep don't stand on their hind legs which is why in some vineyards you see them taking the place of the hoe and chemical weed control.